In partnership with EKU Gaming Institute, RunJumpDev is pleased to announce the dates for this years Vector Conference! 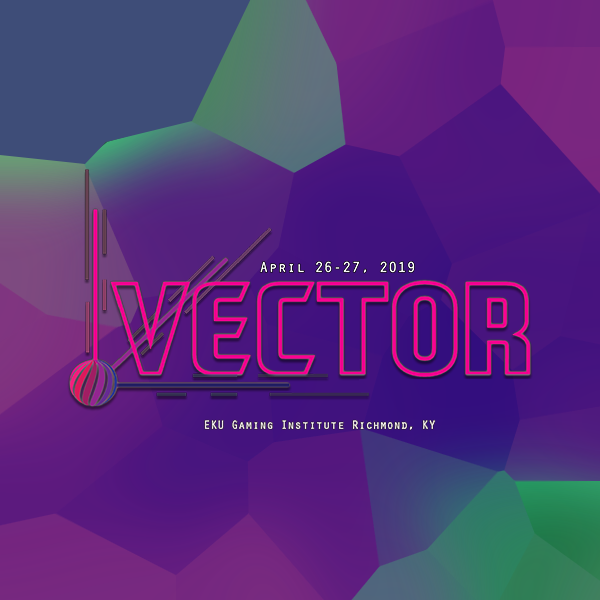 Vector will be held this year at EKU’s Carl D Perkins Building on April 26-27. Day 1 of the 2 day conference will be focused on students (of all ages and skill levels) and learning from workshops and more. Day 2 will be focused on more professional development, with talks from industry professionals focused on higher level concepts.